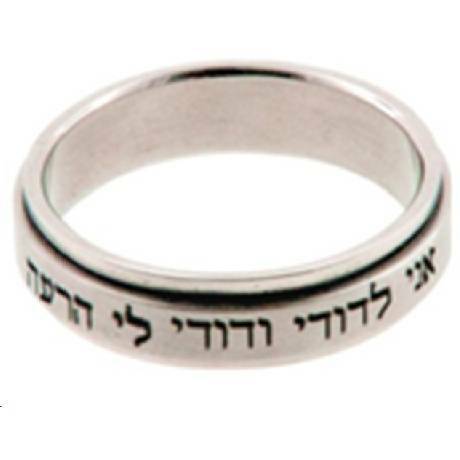 This 316L stainless steel spinner ring has an inscription in Hebrew. It reads "I am My Beloved and My Beloved is Mine." 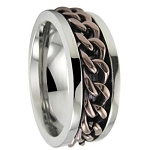 This is a great ring for $19.95! It's stainless steel, so it scratches pretty easily, which is a bit of a bummer. Also, the Hebrew inscription isn't black, like the picture shows. It's just etched in, without any color added. All in all, it's a great deal. However, if you're looking for something that will look good for a long time, this may not be it. 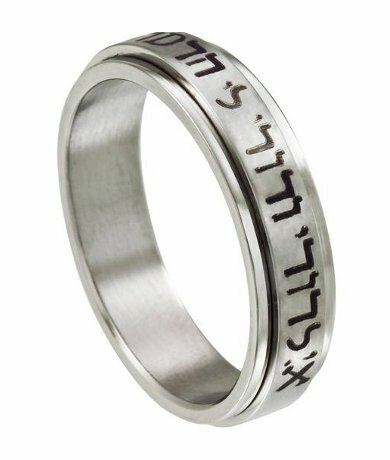 I'm proud to wear this hebrew ring, but it is very sharp at both the einds of the ring. I bought this ring for my Mom and she really likes it. Just Men's Rings are for women also. I purchased this ring for my boyfriend for our 2 year anniversary. 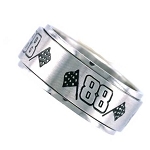 He has been talking about how he wanted a spinner ring, and he is also jewish. He has not taken it off and is still in great condition. So far the stainless steel is a great metal. The value is also great, a lot of other rings that I looked at that were also stainless steel were atleast double what this ring is.